For quite some time, Ergotech’s remarkable VersaStand has been applauded for its role as “Your iPad’s BFF” and the “Best iPad Desktop Accessory Yet”. Just recently, however, the experts at Ergotech have brilliantly created the Universal Tablet VersaStand, a new version of the original VersaStand that can now be enjoyed by anyone with a tablet! 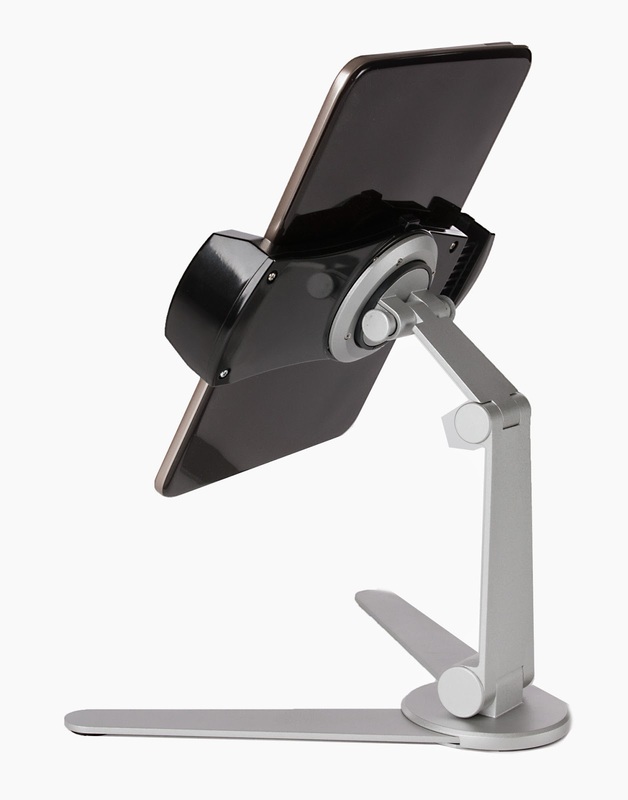 This new VersaStand comes complete with a universal tablet mount that easily attaches directly to the included desk stand and will, without a doubt, provide secure stability for your tablet, allowing you to view its screen at optimal, ergonomic, glare-free angles. This tablet mount is compatible with the Samsung Galaxy, the iPad Air and mini, the Kindle, and all other tablets that fit the compatibility specifications listed HERE. Additionally, the Universal Tablet VersaStand is compatible with existing cases that may already be on your tablet. In case you are not familiar with the VersaStand for iPad, the Universal Tablet VersaStand by Ergotech Group is a folding aluminum desk stand and portable mounting solution for your tablet. Connecting your tablet to this mounting solution could not possibly be any easier! 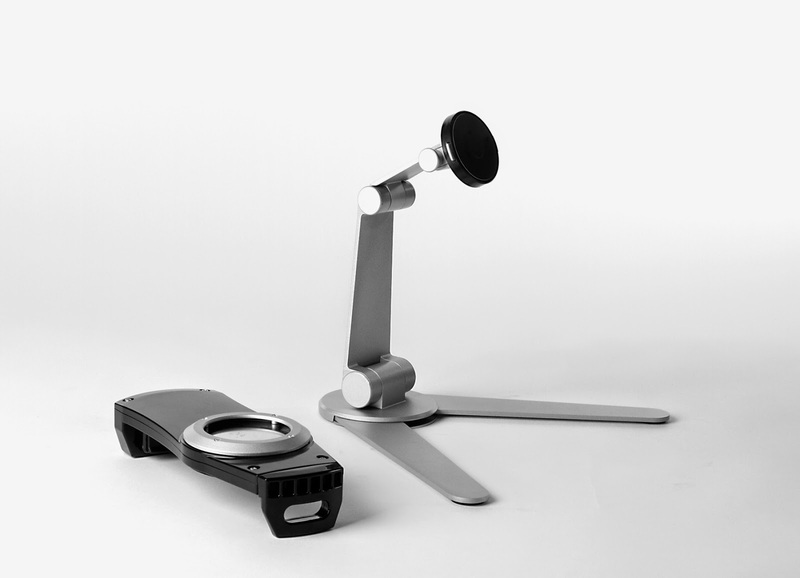 Thanks to the VersaStand’s quick connect interface, all you have to do is simply place your tablet into the universal tablet mount and snap it into the stand with ease. Then you can sit back, relax, and watch as your tablet becomes the most versatile gadget you own! When you have finished using your tablet, simply push the quick-release buttons on the VersaStand to disconnect your tablet, collapse the stand, and store it in your desk drawer, briefcase, or pocketbook. Composed of industrial strength aluminum, this incredible mounting solution weighs just slightly over 1 pound and can fold down to a thickness of just 1.5 inches in order to enable easy transport during travel. The Universal Tablet VersaStand has three fully articulating movement points which are sturdy enough to keep your tablet wobble-free in all positions. This mounting solution also allows for the fluid 360 degree rotation of your tablet which enables you to effortlessly switch between portrait and landscape orientation at any point during the day! So Click Here to order your VersaStand today....because the possibilities are endless!